WR Display & Packaging offers retail supplies and products, and packaging products for home based, individual, or major chain stores . 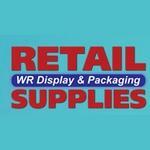 Based in Calgary, Alberta, WR Display & Packaging offers a multitude of items at affordable prices. Lorne Weinstein is the business owner. Products Carried: WR Display & Packaging is a leading wholesaler of store fixtures and retail packaging in Calgary AB. WR Display & Packaging offers extensive product categories with an immense number of retail items and displays in each category. They offer a product catalog that is available for download on the WR Display & Packaging website.